French CBC (Radio-Canada), 2010. 3 short documentaries on organic agriculture. 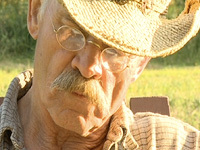 Jonh Wilcox has a dream : living of the produces of his land on exquisite Salt Spring Island, BC. After working for more that 20 years at sea in order to afford becoming a farmer, he might this year just sell his best production of fresh, juicy and highly cherished Portuguese Garlic. Scriptwriting, camera, sound and editing on the road : Alexandra Guité. For the TV show The Rural Series, Radio-Canada/CBC. Producer: Charles Marcoux, 2010. Jacqueline Sutton and her husband Ben choose to leave successful but stressful urban careers to pursue a dream of creating a healing lavender farm on magical Salt Spring Island. 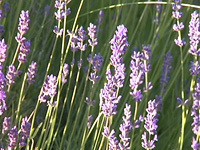 They are still mystified by the abundance of properties of lavender and so will you be. Scriptwriting, camera, sound and editing on the road : Alexandra Guité. For theTV show The Rural Series, Radio-Canada/CBC. Producer: Charles Marcoux, 2010. Henri Stringer and his family live in the midst of massive industrial agro-businesses in Saskatchewan. Against all odds and surrounding chemical spraying, they plant with great conviction organic spelt and lentils that are sold around the globe. Scriptwriting, camera, sound and editing on the road : Alexandra Guité. For the tv show The Rural Series, Radio-Canada. Producer: Charles Marcoux, 2010.